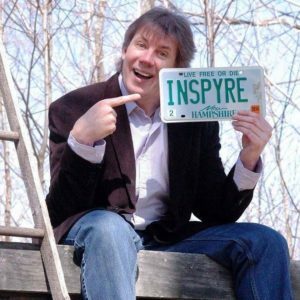 On Today’s In It Together, Motivational Speaker, Author and Philanthropist, Steve Gamlin joined Lori to talk about Gratitude, Visualization, and Second Half Superstars. They started off talking about the importance of keeping a gratitude journal, and not making life common. They then talked about what we overcome, what we learn and what we do with our time. Also, how humility is needed to be grateful, and not the same as being a doormat. Next, the discussion turned to visualization. Steve prompted Lori to visualize a goal and encouraged us to post pictures around us as reminders what we want. Lori then shared about a time she didn’t know what she wanted, and how she learned to connect with her goals to realize them. They further discussed the importance of giving and why not to make everything about ourselves. Finally, Steve told us about how some people reward superstars, and how he likes to encourage people for improving. They also talked about being careful not to coast when going after our goals so we don’t lose momentum. Finally, they shared how we’re not competing with anyone but ourselves, and being okay with our personal best. Listen in and hear more about it!